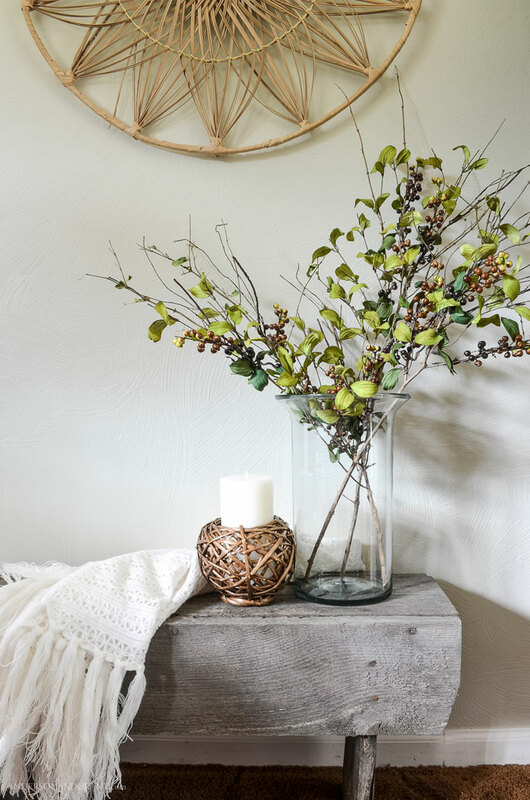 If you're willing to spend the money, it is possible to buy fake flowers and branches that look almost real. 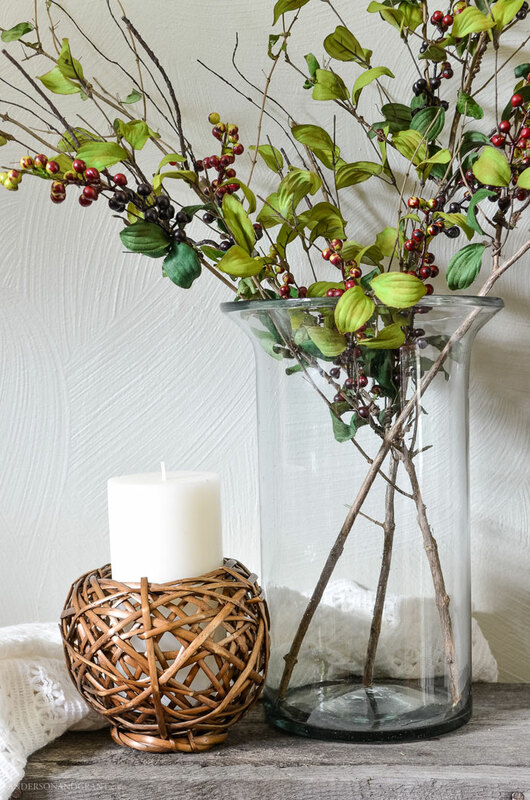 But what normally gives them away, especially if you're displaying them in a clear vase, is the stem (or branch). 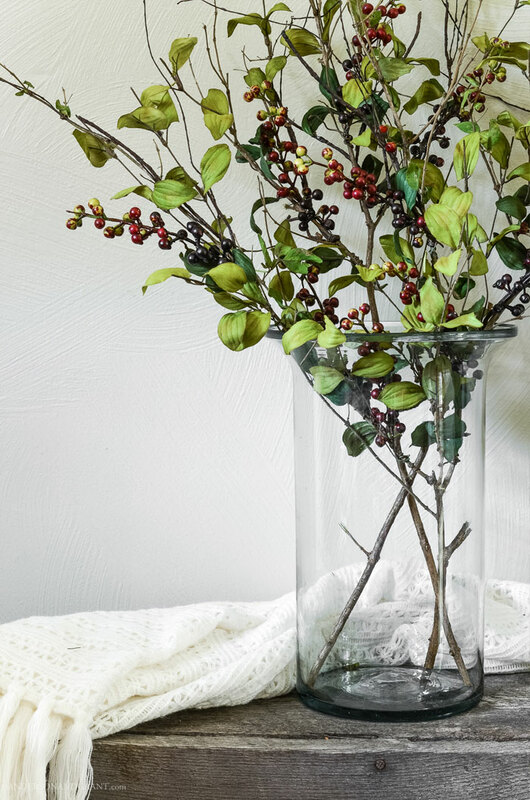 No matter how real the flower looks, the dark brown plastic "stem" screams that you've stuck a fake flower in a vase. 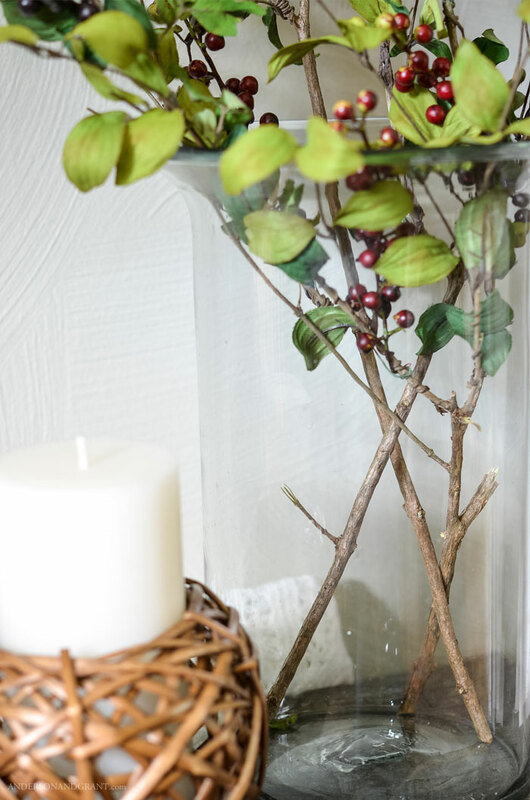 This project of adding a realistic touch is really easy to do, took no time at all, and cost me less than $10 for the chance to have a bit of nature indoors year round. 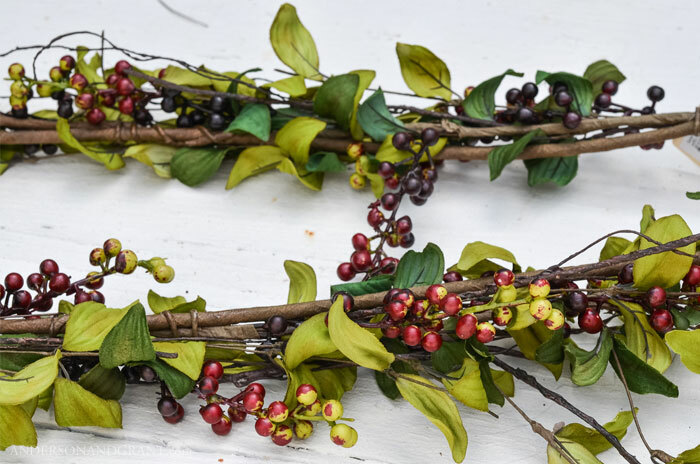 For this project, I purchased a berry garland that had relatively real looking leaves and berries, yet the garland itself was made of paper wrapped wire. 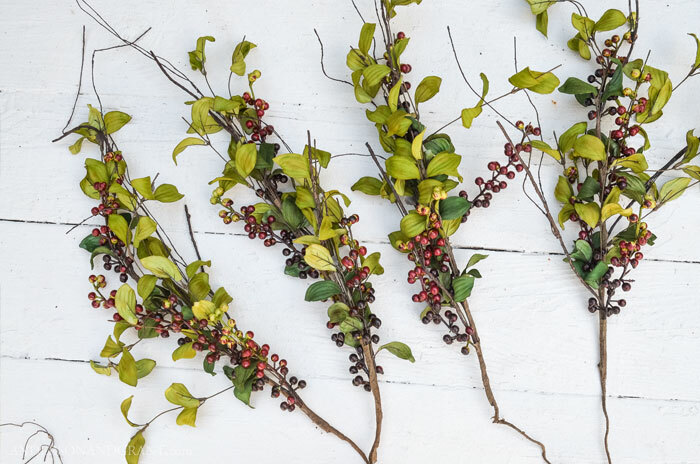 The nice thing about using a garland if you can find it is that you'll likely be able to create more branches than if you bough just a single bush of berries at the craft store. 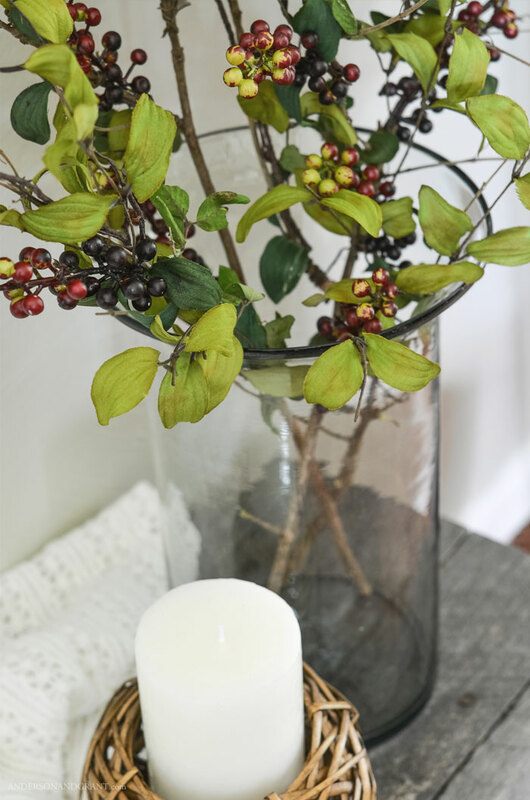 You just have to keep your eyes open for the type of flowers or berries that you are looking for and then figure out how to attach them once you get home. For the realistic portion of this project, I set off on a trip outside and cut some branches off of a berry bush in the woods. You don't have to cut the exact length that you want right off the bush, but be sure that you don't cut the branches too short. I removed the leaves leaving just the branches. 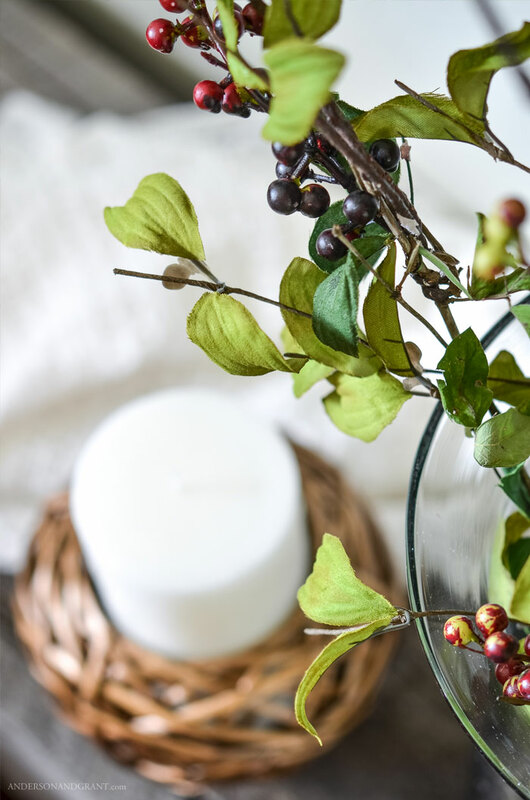 Then I unwound the sprays of berries from the garland. Then each spray was taken apart into individual stems. How many individual branches you have will be determined by what you chose to use on the real stems. 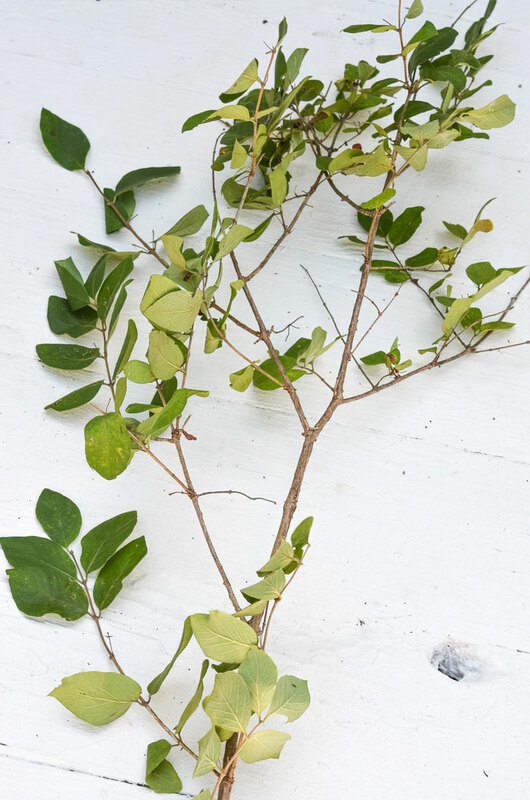 You may need to use wire cutters to cut branches off of a bush of flowers. 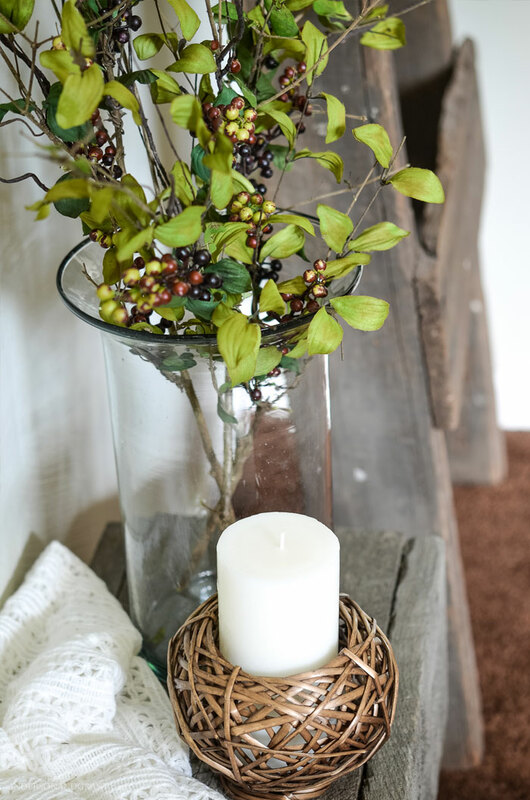 Those faux berries were wrapped around the real branch and positioned just like the real leaves had been. Since my berries were held together on the wired branches, I didn't need to use anything extra to attach them to the real thing. 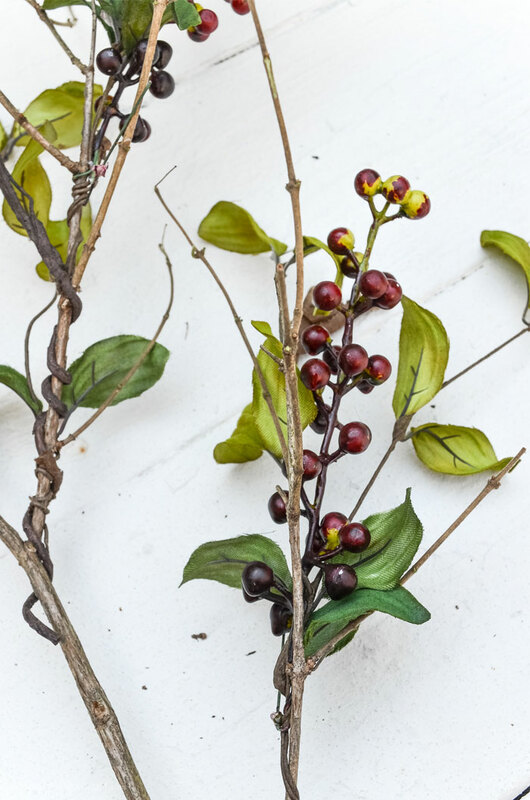 But if you are cutting apart a bush that does not have wired stems, you will have to use a little floral wire connecting the real and fake branches together. Try to hide the wire as much as possible. 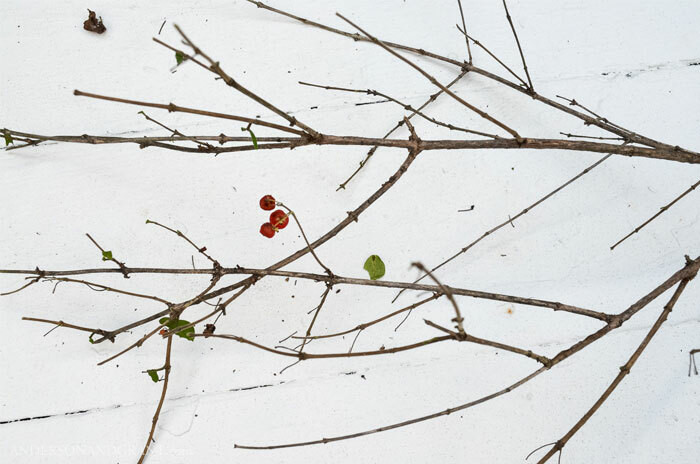 I left some of the pieces of real branch that didn't have berries on them as though I had just went out and gathered branches now that they are starting to loose their leaves. You could remove all of the unused twigs if this look is a little to wild looking for you. I love seeing bits of nature brought into the house in different ways, but living things only last for so long indoors. 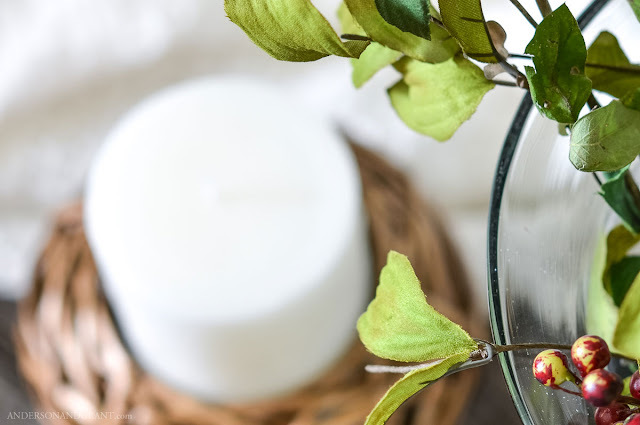 This is a way to combine the ease of buying flowers and leaves from the craft store with the beauty of the real thing. 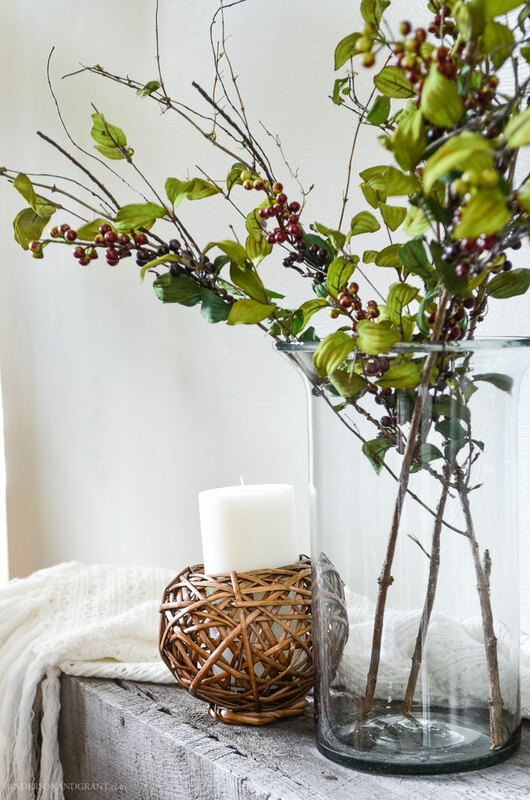 At the end of the season, you can gently pack these branches away. 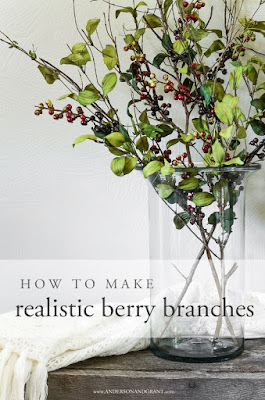 Or, you could remove the faux berries from the real branches and start fresh again next year. Since it is a quick project, that would make them easier to store. 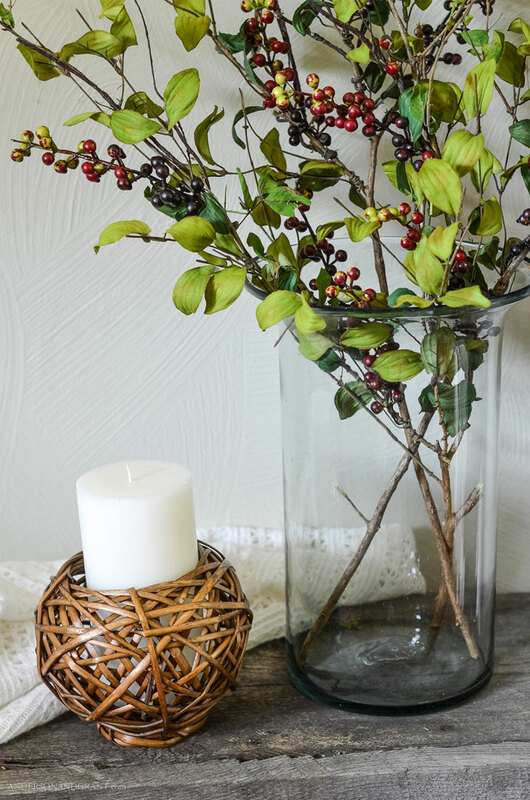 If you liked this project, you may enjoy learning the basics of how to make beautiful arrangements out of your faux flowers.